I'm hurting. The past week I've felt like an android on autopilot, just going through the motions. I have a really good game face and a lot of required practice. But in times of trauma, it's very easy for this black nerd to overheat. Self-care, especially during times like these, is more important than anyone will ever admit. And many of us, myself included, forget that we don't need permission to take comfort in life's simple pleasures. And I was burnt out. My light was gone. I spend my days writing about superheroes saving lives, and my nights crying over the lives lost everyday. One of my favorite comic book writers, David F. Walker, reminded me why I started reading comics in the first place. Because sometimes it's just too scary to go outside. So, I made a list for when you need some time to escape, to recharge or to replace your light. Here are some things that I did (and you can do) to take back some much-needed joy. Read stories about heroes that look like us. Photo: Marvel Comics One of my very favorite comic book runs that started last year is The Ultimates. 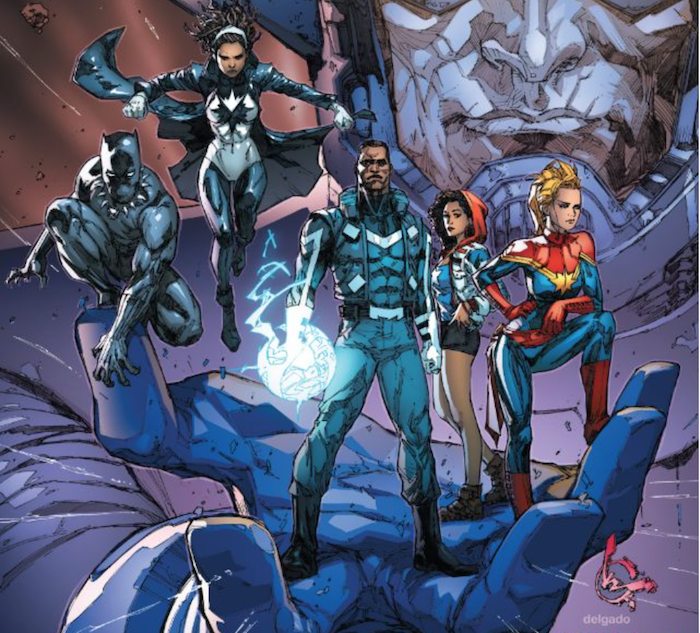 It's a mostly black and brown team-up, featuring Blue Marvel, Ms. America, Spectrum (formerly Captain Marvel), Captain Marvel and Black Panther. Even though the two creators are white (we still need more representation behind the scenes) I really enjoy seeing a team of PoC throwing hands for justice. Photo: Marvel Comics Ta-Nehisi Coates' run of Black Panther has been very enjoyable for me. It's the most human the Wakandan king has ever been in my eyes. And something about that is both jarring and beautiful. 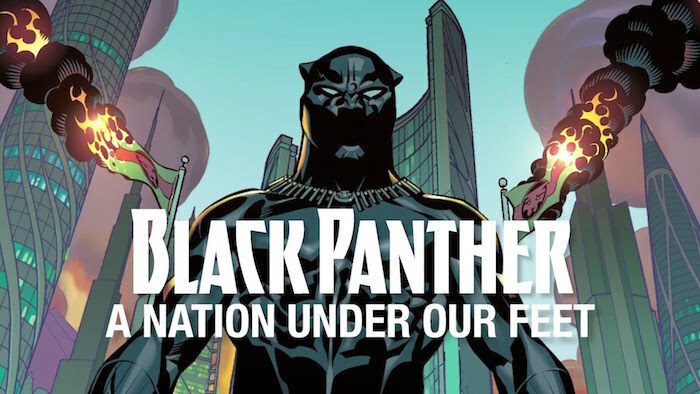 Read this first three issues and take a look into Coates and Brian Stelfreeze's manmade Wakanda. 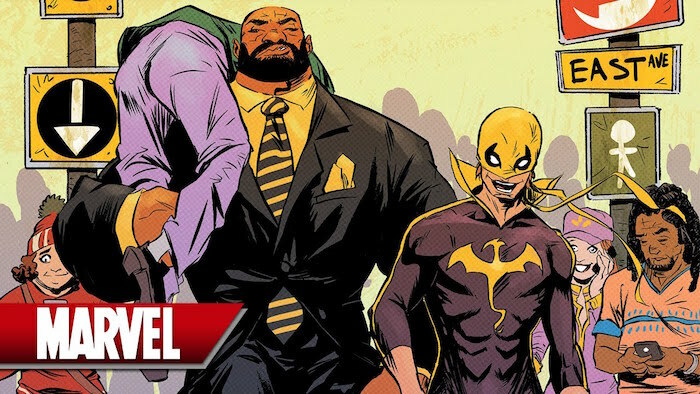 Photo: Marvel Comics If you don't know how I feel about Luke Cage, here's everything you need to know. And like I sad, David F. Walker is one of my favorites. Photo: Scout Comics You have to go to your local comic book shop (or order a physical copy from Scout Comics) for this one, but it's very worth it. But first, read all about one of SOLARMAN's writers and his time at the biggest black comic book company ever. There's also tons of other indie comics/graphic novels/web comics such as Legend of the Mantamaji and Snow Daze, which I am adding to the list because I love them. Plus, there's so much out there by creators of color for us to get into – that's another post. But this is what I read this week. Feel free to substitute your reading material of choice for mine. Photo: Tumblr These heroes in a half-shell were a huge part of my childhood. Chances are if you are a child of the late '80s or early '90s, they were for you, too. Amazon has the entire first season for $8. But you know, it's the internet. Photo: Tumblr I've been preaching about this one for a while. Plus, the creator says if we keep binging on Netflix, we'll get a season 3. Photo: Giphy Even though J.K. is sending us mixed signals about her levels of woke, I can't front like I didn't grow up a Potterhead. Plus, you can always play the find young Wes Gibbons game. I know that women dig that guy, and to keep it real, I get it. Photo: Giphy Yes, there's tons of other anime you could watch. But for most blerd guys and gals I know, this was the gateway. After school, I couldn't wait to get home to watch this show. It's a bunch of really good guys saving the world from really bad guys. Funimation has a free trial period on streaming. Or again, it's the internet. If you'd rather watch the Boondocks, or Star Wars, or whatever it is you're in the mood for – go for it. Just make sure it's some prime-time feel-good stuff from childhood and you'll be hooked. Photo: Tumblr As an OG Pokemon player circa Christmas 1998, I can't get jiggy with it. But, if you're less familiar with the franchise or don't mind the changes, this one is hot right now. After about 30 minutes, I gave up. Please be safe while you're walking around catching Pokémon in augmented reality please. There are already horror stories out there. Photo: Disney I'm addicted and I have no shame. 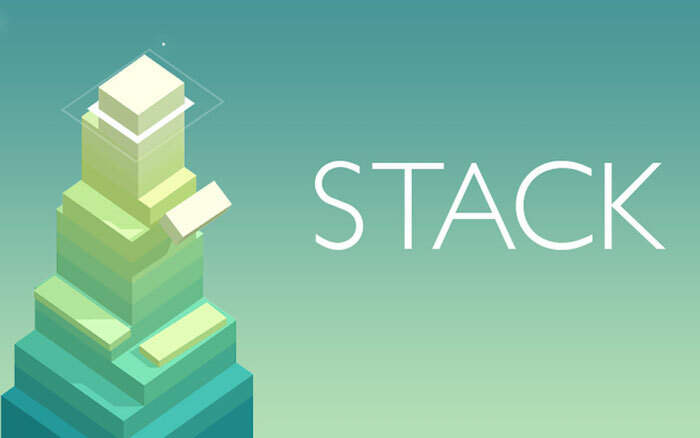 It's in the app store. Photo: Ketchapp Also, deceptively addictive. I've played for an hour straight in one sitting. I chose all mobile games because not everybody has a console or games on their PC (I'm a huge fan of The Sims). But whatever you play, the point is to have fun and get lost in the screen for a while. If this will be helpful for even one or two of you out there, then mission complete. That's all I could ever really hope for. No matter what you do to relax and recharge, make sure you take some time for self-care this week. You need it. And if no one else will tell you that, I will. Photo: Tumblr What do you do when you need to unwind? Let me know in the comments, I read and reply to all of them. Finally, hit the share button and tag a friend who needs to see this.